Asian Books Blog runs its own literary award: the Asian Books Blog Book of the Lunar Year. We are about to confer the award for the Year of the Dog, now drawing to a close. Asian Books Blog highlights books of particular interest in, or especially relevant to, Asia, excluding the Near West / the Middle East. The award thus highlights such books. Authors can be of any nationality, and can be published anywhere, either conventionally, or through self-publication – an important route for new voices in Asia, especially in the many countries within the region with limited publishing industries. Self-published titles are eligible in eBook format. Traditionally published titles must be available in a physical format, either hardback, or paperback. 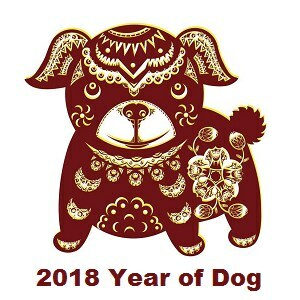 Books are eligible if they were published in either in the Year of the Rooster (2017) or the Year of the Dog, and if they featured in Asian Books Blog during the Year of the Dog. Anthologies are eligible, as are collections of short stories by a single author. Reissues are not eligible. Books by people who contributed regularly to Asian Books Blog during the Year of the Dog are not eligible. Books translated by regular contributors to Asian Books Blog are eligible. Paul French is about to become a regular contributor, but he was not a contributor during the Year of the Dog, so his book is eligible. The blog covers literary fiction, genre fiction of all genres except erotica, and narrative non-fiction. Hence books in these categories are eligible for the award. Books must be either works originally written in English, or translations into English. Twelve books are shortlisted. The shortlist is intended to include a mix of books by new and established authors, of authors from all over Asia excluding the Near West, and of men and women. Books are intended to represent a variety of publishers, both those based in Asia, and those based in the big centres of international publishing. The winner is decided by voting, with votes polled from the blog’s readers. For details of how to vote see the end of this post. To ensure a successful competition, please consider sharing this post on your own social media. No money is at stake. Instead of a prize, the winning author will be invited to write a guest post highlighting the work of any secular organisation promoting literacy within Asia. No fee will be offered for the guest post. If the winning author does not want to write a guest post, this will not mean he or she forfeits the award. HOW TO VOTE: To vote fill out the subject line only with the title of your one choice for the winner to asianbooksblogvoting@gmail.com. Emails will not be read beyond the subject line giving the chosen title. Voting closes at 5pm on Friday February 15. The announcement of the winner will be made on Sunday February 17.